A stylish place with elegantly designed rooms and a conference room for a stress-free and relaxingexperience. 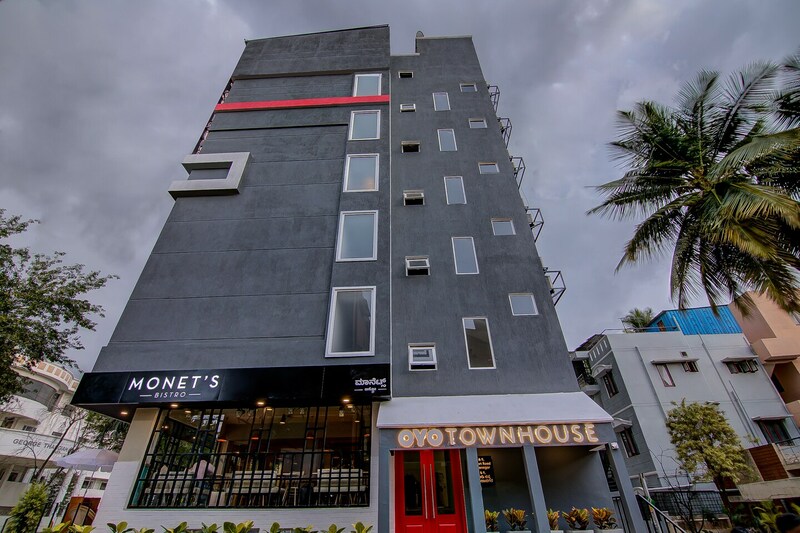 Townhouse 035 Indiranagar offers modern accommodation in Bangalore and is within walking distance of 100 FT road. Rooms are bright and elegant. It has basic amenities like free Wi-Fi and power backup. Some of the rooms are also equipped with Kindle and Netflix subscription. In-house restaurant offer delicious delicacies. There is also a conference room which can be used for events and meetings. After a day of discovering the nearby region, guests can unwind in the comfort of seating area. CCTV cameras ensure security of your stay here. Townhouse 035 Indiranagar features a restaurant and a bar where guests are able to enjoy tasty meals. The area is located nearby many local attractions like Sree Surya Narayana Swamy Temple, Anjanadhari Apartments and St. Mary'S Basilica.